This is a sponsored post written for Neutrogena. I was compensated and provided complimentary products for this post. All opinions are my own. As you might have noticed in the past year, I have been obsessed with all things skin-care. Now that cold weather is upon us it is so crucial to stay moisturized throughout the day. Below are my tips on conquering the dryness head on in collaboration with Neutrogena Body Oil which is celebrating its 50th Anniversary. Pick one which does not dry your skin or irritate it during the winters. Ensure that there are no harsh chemicals. Choose a product that is gentle on the skin but also provides a bit of exfoliation. I know, I know we all love warm, steamy shower on a cold winter morning! However, post hot shower comes scaly skin which itches and dries out. Hot water can accelerate skin dehydration. May be try lukewarm instead, whenever possible. This is the most important step, according to me. If you have dry skin, you need a good moisturizer. I for one love body oils. 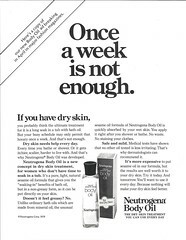 Neutrogena Body Oil is one of my favorite. It’s a light sesame oil formula that instantly absorbs into skin, sealing in moisture without a greasy after-feel. Skin feels noticeably softer and smoother in just a few seconds, so you won’t need to wait for it to dry before getting dressed. Fun fact: a house heated by a furnace can have up to 30% less moisture in the air than otherwise. As much as I like the heating, I have noticed that the dry air tends to worsen my skin dryness overtime. A humidifier helps with this problem. Winter makes us all couch potatoes and crave for cookies, cakes and candies, however, adding more healthy fats, vegetables and lean protein to the diet helps skin maintain it's natural moisture. i need to invest in a humidifier..im definitely feeling dry skin/hair issues. I have such dry skin in idaho! This is great!! :) Thanks! I am such a body oil fan - I remember before I tried it for the first time I was nervous I'd feel greasy but now I'm obsessed!